Tropical Foods is the pioneer ethnic food retailer in Boston. Although it remains the premier supermarket for Spanish, African American, West Indian and African cuisine; Tropical Foods is the “Supermarket for Everyone”. * For a listing of some of our products & services, click here. Local and affordable, Tropical Foods is the best of all worlds. We are the neighborhood grocery store for Dudley Square in Boston, providing our 15,000+ customers’ (per week) grocery needs such as – milk, eggs, fresh meat, fresh vegetables & fruit and more. But, we are also a destination for customers from all over New England who travel to Tropical Foods for our outstanding selection of ethnic produce, curries, rice, beans, and hard-to-find ethnic specialties from around the world. Come visit Tropical Foods and discover a truly unique and exciting supermarket. 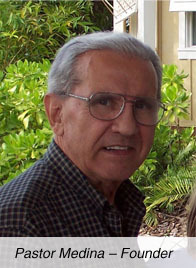 In 1961, Pastor Medina was forced out of his supermarket business and ultimately out of his home country - Cuba - by Fidel Castro. Coming to the United States with his wife, two daughters and literally just the clothes on their back; Pastor worked many jobs and saved for his dream of one day owning a supermarket again. In 1974, Pastor rented a small corner of a building on Washington Street in Boston’s Dudley Square selling just plantains – earning the store the name that most of its Spanish clientele still call it today: “El Platanero” (The Banana Man). Pastor’s brother Andres soon joined the company and together, over the next 14 years, their corner store had expanded to a small grocery store with over two dozen employees. In 1988, Pastor sold the store to his son-in-law, Ronn Garry Sr. who coined the name “Tropical Foods”. Ronn Sr. continued Pastor’s growth and further expanded the store --turning Tropical Foods in to a full-service supermarket. In 2006, brothers Ronn and Randy Garry bought Tropical Foods from Ronn Sr. In early 2015, Tropical Foods opened a brand new 27,000 sf state-of-the-art store just behind the old one. In addition to all the same great items that were carried in the old store, the new location now has a service deli department, a service fish department, and a bakery. Modern, spacious & fresh… Tropical Foods really is the best of all worlds!! !